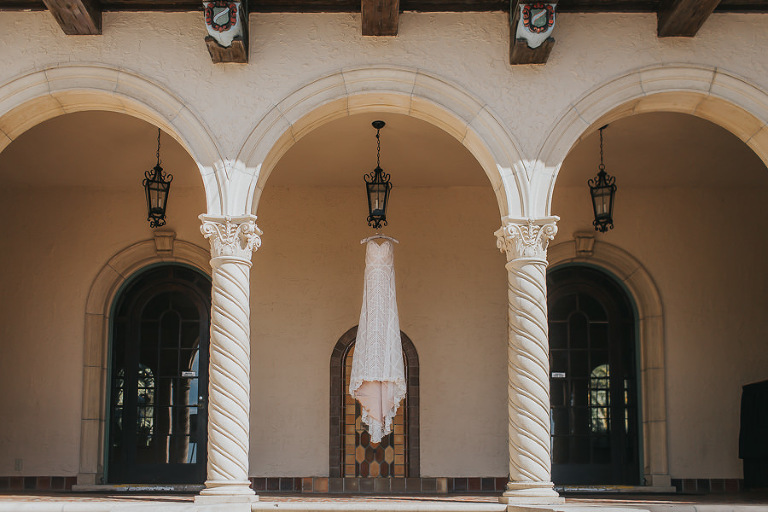 Kaitlyn and Vaughn’s Sarasota wedding featured an outdoor, waterfront ceremony and reception. 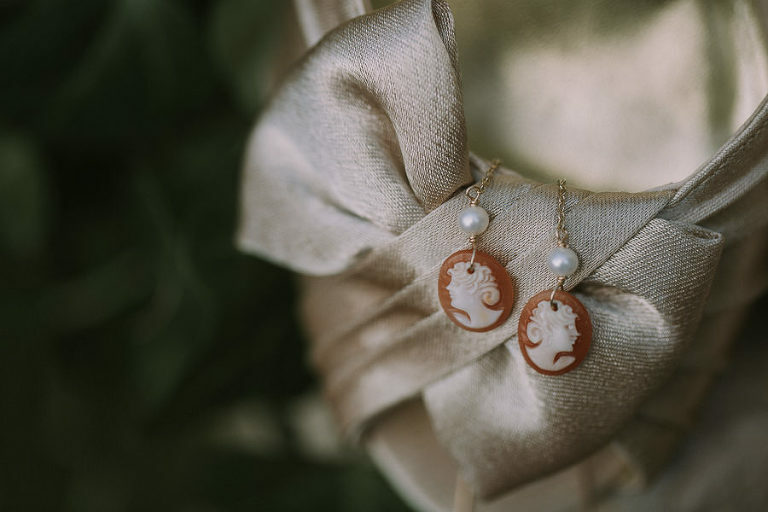 Complementing the bride’s beauty and attire, Kaitlyn’s wedding accessories also accented her heirloom theme. The St. Petersburg bride and groom incorporated intimate touches that reflected their personalities. “We had two rubber duckies on our sweetheart table (an inside joke), which were dressed as a bride and groom, and bowls of gummy bears (our favorite go-to for road trips) on the cocktail hour high top tables. 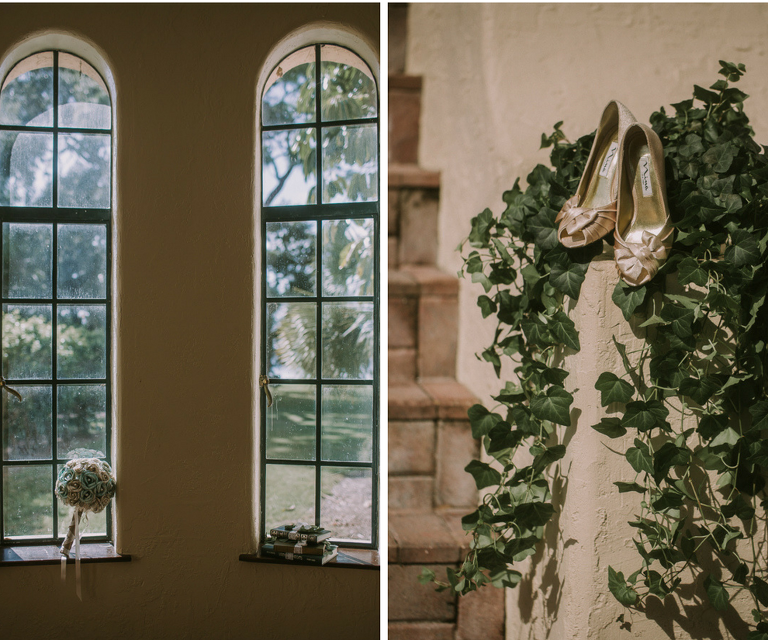 As a photographer herself, the bride searched for very specific qualities in her Sarasota wedding photographer. It was on a mountaintop overlooking Reno, Nevada, on the day I earned my Master’s degree in Writing from the University of Nevada Reno. 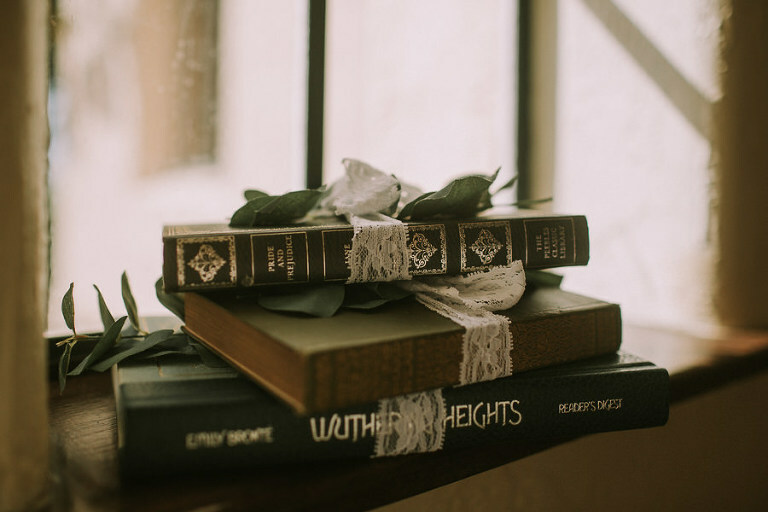 A mix of vintage, romantic and DIY. We chose soft pink, rose, blush and sage. It went well with the venue and theme we were going for. I looked for someone with high quality, artistic images. As a photographer and artist myself, I hired Brandi of Brandi Image Photography because I admired her talent and “eye” for seeing the things the average person wouldn’t. Her work often inspired me because it captured raw emotions and genuine moments, and that’s what I wanted in a wedding photographer. Our experience with her service was everything we could have hoped for from beginning to end. She was easy to work with, friendly, attentive and fully prepared for every moment. The final images helped us remember our day in the best way possible, and we’ll be forever grateful for it. What advice would you give to other Sarasota couples? Spend money and time on the things that matter the most and do not worry about the little things. I saved money by making things myself, getting a less expensive dress and using vendors I knew personally.